We here at Credential Manager want you to be successful in your business and personal pursuits. However with that said we also want to warn you about the MLM Industry. For MANY big & small MLM companies there is NO LONG TERM. They are only there to make a quick buck and then do it again. This theme is now in the BILLIONS of dollars and people are losing homes, cars, and are just being sucked dry. It is rampant out there and it's BUYER BEWARE. Here are some red flags to look out for when evaluating any MLM company. Red Flag #1: Endless chains for recruitment. With the chaining feature in an MLM compensation and marketing plan, each person recruited is empowered and given incentives to recruit other participants, who are empowered and motivated to recruit still other participants, etc. – in a network of endless chains of recruiters recruiting recruiters – without regard to (de facto) market saturation. All network or multi-level marketing (MLM) programs, no-product pyramid schemes, and chain letters have this recruitment chaining characteristic in common. You would be wise to avoid any program in which you are recruited without limit into chains of participants (distributors, agents, representatives, etc. ), which are organized into multiple levels, especially where the position in the chain or hierarchy of participants is determined by timing of entrance into the program and/or by success at recruiting a downline of participants. While a few earn substantial profits, the vast majority (at least 99%) of participants in such programs lose both time and money. In at least four studies, chain selling schemes that feature unlimited recruitment in endless chains of participants have been found to be profitable only for a tiny percent (less than 1%) of participants at or near the top of their respective pyramids. Yet MLM promoters typically present their programs as outstanding business or income opportunities This fallacy is at the heart of a maze of misrepresentations used in MLM recruitment. Whether or not law enforcement interprets the endless chains of recruitment as an illegal pyramid scheme, it can be considered an unfair and deceptive trade practice – or unjust enrichment of a few at the top of a pyramid of participants at the expense a downline of misled participants, the vast majority of whom are mathematically pre-determined to lose money. It should also be noted that quality and/or prices of products or services often becomes questionable when incentives are tied to recruitment. This would apply to such products and services as health products, investments, or internet services. But even if the products are of exceptional quality, it is the inherently fraudulent design of the chain-selling program that misleads people into participating against their own best interests. The vast majority of recruits are destined to lose both time and money. For most chain selling programs (multi-level or network marketing, etc. ), income is dependent primarily on downline recruitment of participants who will buy (or subscribe to) products to “play the game.” As a general guideline in evaluating MLM programs, if you must recruit to be successful, or if the primary emphasis in the compensation plan is on building a downline, it is not a viable income opportunity except for those at or near the top of the pyramid – who are usually those who joined at the beginning of the chain of recruitment. And you must decide if your success at the expense of so many victims will leave you with a clear conscience. In summary, MLM is dependent on unlimited recruitment of endless chains of participants as primary customers. It assumes infinite expansion in a finite market. It also assumes relatively virgin markets. As a business model, MLM is therefore inherently flawed, fraudulent, and unprofitable except for a few at or near the top of a pyramid of participants. It is also extremely viral and predatory, preying on the most vulnerable among us. 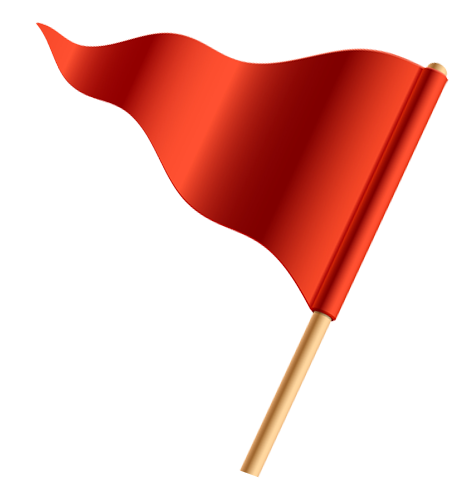 Red Flag #2: Advancement by recruitment. Why is Red Flag #2 important? Historically, in most jurisdictions, the key factor in determining if a program is an illegal pyramid scheme is whether or not the primary emphasis is on compensation from recruitment, rather than from legitimate sales to end users who are not part of the network of participants. If the only way to earn significant income is by recruiting aggressively in order to advance to higher levels in the scheme, this criteria is satisfied. Avoid falling for the line that you have a choice between selling products or building a business. MLM promoters typically tell prospects that they can choose to be a customer and/or sell products – or they can choose the “leadership” option. Usually a careful study of the compensation plan will reveal that the system is weighted heavily in favor of recruiting a downline – with rewards for recruiting a large downline hundreds (or even thousands) of times as great as rewards for selling products. If you are able to get the names of more than one participant who actually profits from direct selling without recruiting, ask to see their tax return for last year. It is virtually certain that you will find few if any such persons. So be careful. For most MLM programs, it has become evident on close examination that both advancement and income are dependent primarily on recruiting a downline of participants who will buy products to “play the game”. If participants must recruit to be successful, or if the pay plan’s primary rewards are for building a downline, it should be considered a recruiting MLM, and an unprofitable chain selling scheme except for those at or near the top. You would likely do better selling pencils on a street corner. Are MLM “distributors” really “direct sales persons”? When the pay plan rewards recruits more for recruiting others than for retailing products or services, and when purchases are “incenticized” (tied to qualifications for commissions or advancement in the scheme), it is a misnomer to refer to them as “distributors”. This is why in these analyses such terms are often placed in quotation marks. It is more correct to refer to them as “chain sellers” or as “investing participants”. Correctly viewed, an accumulation of such incenticized purchases over a period of time constitutes a substantial investment in a pyramid scheme. In a recruitment-driven MLM, “pay to play” requirements are met by ongoing “incenticized purchases” (purchases tied to commissions, discounts, or advancement), with participants the primary buyers. “Incenticized” or “pay to play” purchases are purchases from an MLM company tied to requirements or inducements to enter the “business opportunity” or to qualify for commissions or discounts – or to advance in the hierarchy of “distributors” (or whatever they are called) – who are in effect merely participants making pyramid scheme investments disguised (or laundered) as purchases. But be careful. Often new recruits are told that they need not buy anything – unless they want to enter the “business opportunity” or “leadership” income option. This could be called “pay to play”– purchases one makes if one wants to really play the game. Escalating incentives to continue purchasing products to qualify for ever-higher levels in the hierarchy of participants often leads “distributors” to hyper-consume products, to give away samples, or to fill their garages with products they don’t need. The argument that participants would have purchased the products from another source anyway, and that these purchases should not be considered an expense of doing business, simply does not hold water. Whether they are used, sold, given away, stored, or flushed down the toilet, is irrelevant in this analysis. If new recruits add the operating costs of recruiting to the cost of purchases from the company, total expenses nearly always exceed any payments from the MLM company. The break even bar is raised and is rarely exceeded by revenues. In other words, almost all participants below those at the top of the pyramid lose money. So when participants are expected to make product investments to get into a program – and then to keep on purchasing products, services, training, etc., in order to progress in the organization, they are paying de facto pyramid investment fees to “play the game,” one of the earmarks of a product-based pyramid scheme. While the previous four features are fairly easy to identify, this one requires understanding of alternative distribution models and complex incentives in the MLM pay plan. Group bonuses and other incentives must be factored in to determine actual payout per sale. Sometimes the bonuses come in the form of larger discounts or commissions per sale at higher levels in the hierarchy. Why does this feature of MLMs discourage retailing of products to end users? Recruiting MLM’s typically offer small rewards to front line “distributors” for selling products, which are usually overpriced. So to achieve significant income one must recruit a large downline from which to draw commissions from their combined purchases The end result is inadequate incentive to retail and excessive incentive to recruit. This factor, more than any other, determines whether a program is biased towards recruitment or towards retailing (direct selling to end users). It is also an important red flag signaling a recruiting MLM, or a product-based pyramid scheme. Why Is this feature one of the main problems with MLM? Compensation plans of MLMs lead to extreme inequality in payout (money paid by the company) to participants. Company payout is distributed to a few “winners” at the expense of a multitude of “losers.” Often these “losers” will invest considerable amounts of time and money and then quit, blaming themselves. But their “failure” is due not so much to their lack of effort, as to an exploitive system, which dooms approximately 99.6% to losses (after subtracting “pay to play” purchases and minimal operating expenses). A failure rate in excess of 99% would not in and of itself be fraudulent, except that in MLM opportunity meetings, the program is typically touted as the path to financial freedom, or time freedom, and the earnings of top distributors is posted – but without the abysmal odds of getting there. In other sales settings, it is not unusual for a successful commissioned sales person to receive more income than their sales managers. This is because the person doing the selling makes more in commissions per sale (often 20-40%) than managers two or three management levels above him or her. But in recruiting MLM programs, upline distributors several layers removed from the actual sale receive about as much or more in total payments per sale (including commissions and bonuses) from the company as the person who actually sold the product. The latter may only get a sales commission of 5-15% from the company – not enough to make direct selling profitable, even if the products were priced competitively. Since the total payout per sale is limited, when several levels of upline participants receive substantial income in overrides from purchases by downline participants, this limits the percentage of commissions to any participants actually selling products to end users. So the income of front line “distributors” is extremely limited, forcing him or her to recruit a large downline to realize a significant income from commissions on their purchases. Powerful incentives may then be at work to recruit a downline of hundreds – or even thousands – of participants. Again, the end result is inadequate incentive to retail and excessive incentive to recruit. Other qualifying questions that could be asked include: Is it possible to have dozens, or even hundreds, of people in your downline from whom you could collect commissions? – or – Have you been told, or has it been implied (in a variety of ways) by the promoters of the scheme, that the real money is in building a downline? – or – Does the company use a binary, trinary, matrix, breakaway, “Australian 2-up,” or hybrid of any or all of these compensation plans with more than four levels of payout by the company to the upline? Again, for even the largest of conventional distributor arrangements, the entire U.S. can be covered by four supervisory levels in the distributor hierarchy; e.g., national manager, regional managers, district managers, and branch (or local) sales manager – and sometimes an international manager if one is needed for foreign markets. A pay structure with more levels than that is superfluous and bloated, driving up product prices and making sales at a competitive retail markup unprofitable and unrealistic. Why Does More than 4 Levels Signal an Exploitive MLM? So – with an upline of many levels, the top-level participants may be profiting to an extreme degree from the losses of those beneath them. Such exorbitant incomes result from the reaping of huge overrides from the combined product investments of as many as thousands of downline participants, which increase exponentially with each added level. Red Flag #5 is often a key feature separating recruiting MLM’s from no-product pyramid schemes, which typically pay on only four levels before the person atop the pyramid collects and moves on to start a new pyramid. It also helps explain why the loss rate for MLM’s is much higher than for classic, no-product pyramid schemes. Compared to recruiting, selling products at full retail price becomes a waste of time in systems with so many levels in the pay plan. The incentive to recruit to move up a level becomes very great. Again, one can see that the legal criterion of “primary emphasis” on income from recruiting fees (in the form of downline purchases) is satisfied. Breakaway compensation plans are the most extreme of all classes of chain selling schemes. They are so highly leveraged (those at the top reaping commissions from the purchases of huge downlines of participants) that the aggregate losses of participants are staggering. Whole groups of participants are treated as units. So if a breakaway system allows for payments on up to five generations (or breakaway groups) deep, it is paying on five levels of whole groups (pyramids) of participants who haven’t yet qualified to “break away” and form their own groups. A breakaway system could be considered a mega-pyramid comprised of many smaller pyramids or poly-pyramids. It is not uncommon in breakaway programs to have a top-of-the-pyramid promoter collecting override commissions on literally thousands or even tens of thousands of downline participants – approximately 99.9% of whom are losing money (after subtracting incentivized purchases). How does extreme leverage result from excessive payout levels? Level 6: (3,905×5=) 15,625 + 3,905 = 19,530 total distributors x 5 in commissions & bonuses = $97,650/month! If each “distributor” were to buy enough products each month to yield an override of $5 in commissions and bonuses to the original upline distributor, then with a five-level downline, the upline distributor gets $19,525 per month, while with a six-level downline the same distributor can get $97,650 per month – five times as much as for five levels. The incentive to recruit to get to the sixth level becomes enormous. Of course, it seldom works out that way, but these are the type of figures that are often presented to prospective new recruits at MLM opportunity meetings. This illustrates why recruiting is emphasized, as opposed to selling products to persons outside the pyramid. An income of $97,650 is much more appealing to a Level 1 participant than $100 that might be earned by selling the products at the full retail price (assuming $20 markup on products sold to each of five customers). If you have any questions about this document please send us a support ticket for help.